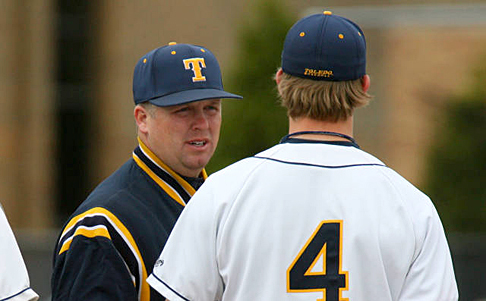 Toledo Baseball Head Coach Cory Mee has been named 2010 Mid-American Conference Coach of the Year, and six Rockets have earned spots on the all-conference squad, the league office announced Tuesday evening. Voting for the awards was done by the conference’s 12 head coaches. In his seventh campaign as UT’s skipper, Mee has led the Rockets to one of their best seasons in school history this year. As of May 25, Toledo has registered its first 30-win season since 1999, and the Midnight Blue and Gold’s 33 wins are tied for third most in school history, one behind the 1977 squad’s 34 victories. The Rockets’ 19-8 (.704) MAC record this season is the program’s best conference mark since posting a 23-9 (.719) ledger in the 1999 campaign, and UT’s 19 MAC wins are the second most league wins in school history. Individually, sophomore third baseman Joe Corfman and sophomore designated hitter Matt Delewski each earned first-team All-MAC honors, while junior center fielder/shortstop Jared Hoying, junior center fielder/shortstop Chris Dudics, junior pitcher Matt Suschak and freshman pitcher Mike Hamann received second-team All-MAC accolades. The six all-conference players for UT match the 1984 squad for the most all-league selections for the Rockets in school history. Corfman ranks second in the MAC with a squad-best 64 runs scored and is also tied for fourth with 57 RBI, tied for sixth with 83 hits, seventh with a .382 batting average and tied for eighth with 19 doubles. On UT’s season list, Corfman is second in runs scored, tied for second in doubles, third in RBI and fourth in hits (83). Dudics currently sports a MAC-record 37-game hit streak (third longest active streak in NCAA) and possesses a team-high .390 batting average with 54 runs scored, 16 doubles, three triples, two home runs, 33 RBI and squad-best 14 stolen bases. This season, he ranks first in hits (94) and tied for sixth in doubles (16) in UT’s single-season record book, and he is second in career batting average (.374). Dudics ranks second in the MAC in hits (94) and fifth in batting average. A 24th-round pick of the Cleveland Indians in the 2009 draft, Hamann sports a 6-3 record with a 4.12 ERA and has accumulated a team-high 74.1 innings of work. He is tied for fourth in the MAC in wins, seventh in ERA, eighth in opponent batting average (.269, 76 for 283) and tied for ninth in games started. Hoying is tied for the team lead with 14 homers and also has 52 RBI to go along with a .303 batting average, 49 runs scored, 18 doubles and a team-high four triples. He is tied for fifth in the MAC in triples and home runs, sixth in total bases (129) and 10th in slugging percentage (.601). Hoying is the Rockets’ career leader in home runs (34) and is also third in RBI (136), tied for third in doubles (46) and tied for fourth in total bases (337). Suschak has appeared in a team-high 20 games, making five starts and was moved from the bullpen into the Rockets’ starting rotation in mid-April. He possesses a 4-1 record with a 4.12 ERA and three saves has a team-best 54 punch-outs in 54.2 innings. Suschak leads the MAC with a .205 opponent batting average (42 for 205) and ranks sixth in ERA. Amanda Kaverman and Kiah Douglas will represent Toledo’s track and field team at the NCAA Championship Preliminary Round, hosted by North Carolina A&T State in Greensboro Thursday through Saturday, May 27-29. Kaverman qualified with her time of 11.57 in the 100-meter dash at Michigan’s Len Paddock Invitational. That time has her seeded 26th in the east region, with the top 48 in each event qualifying. At the recent MAC Championships, Kaverman placed second in the 100 with a time of 11.84, and she won the 100 at the Ohio Team Challenge with a time of 12.01. 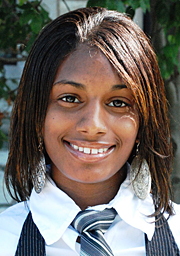 The Sylvania, Ohio, native was also the MAC champion in the 200 at both the indoor and outdoor competitions. After a late scratch in the long jump entries, Douglas was selected to participate at the NCAA Preliminary Round. Douglas sat 49th on the list of declared athletes for the long jump; the scratch allowed her to elevate into the 48th position and become an automatic selection. She ranked 54th in the region in the long jump with her mark of 19-08.00, which she achieved at the Toledo Collegiate Challenge. Douglas was a three-time winner this spring in the long jump and took third at the MAC Championships. The Rockets had several other athletes narrowly miss qualifying for the regional round. Michelle Sutherland, the runner-up in the high jump at both the indoor and outdoor MAC Championships, was tied for 50th in the region with her height of 5-08.00. Dagna Sztykiel’s time of 10:43.48 in the steeplechase, which she hit during her runner-up performance at the MAC Championships, was 54th in the region. Alexandra Afloari was 55th in the region with her triple jump of 40-06.00, which she reached at the Penn Relays. Kaverman and Douglas will be two of approximately 2,500 student-athletes from more than 200 colleges and universities located east of the Mississippi River at the meet, with a similar preliminary round hosted at the University of Texas. The NCAA Finals will take place June 9-12 at the University of Oregon. Rocket football fans have the chance to spend an evening with Head Coach Tim Beckman Thursday, June 10, at the Inverness Club. 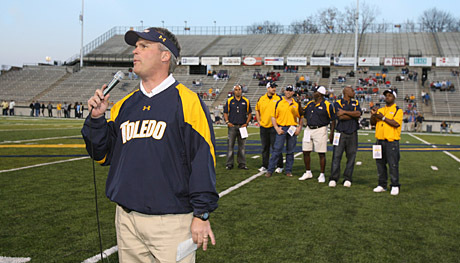 Head Coach Tim Beckman talked to the crowd before the spring football game. The event will begin at 5:30 p.m. and include wine tasting, hors d’oeuvres, a live auction and team updates from the coach. The 2010 recruiting class has been called the “top recruiting surprise in 2010” and the best in the Mid-American Conference (Rivals.com & Scout.com ). Beckman will give a season preview and discuss the recruiting success stories. Auction items will include a field pass for the nationally televised home opener vs. Arizona and a trip for two to the Boise State game Oct. 9. To attend this special evening, donations — $100 for an individual, $150 for a couple, $1,000 for table sponsor — will be accepted. Donations are tax-deductible, minus $30 per person, to cover costs. Register here or call the UT Athletic Development Office at 419.530.5316. It was a time of transition at The University of Toledo Medical Center’s Operational Leadership Team (OLT) meeting Wednesday morning. Mark Chastang, who recently accepted a new position at the University of Chicago Medical Center, received a standing ovation for his work as vice president and executive director of UTMC over the last six years. UTMC’s interim vice president and executive director, Dr. Scott Scarborough, told the group that while times of transition can cause anxiety, it also should be seen as an opportunity. Scarborough, who also serves as senior vice president for finance and administration, told OLT members a key part of his job was to ensure managers’ skill sets and duties were aligned and asked hospital managers for help determining what was working well and what needed to change. Managers were asked to submit three frustrations with UTMC processes, culture or conditions, and Scarborough committed to addressing them in upcoming OLT meetings. Scarborough, who has worked in six hospitals across the University of Texas system, stressed the importance of the first 100 days following a change of a hospital CEO. If the first 100 days are done well, a positive momentum is created that builds and carries the hospital toward the achievement of its mission and strategic goals. The first 30 of those 100 days will be comprised of a listening tour as Scarborough, UTMC Medical Director Dr. Ron McGinnis, Dr. Jeffrey P. Gold, Health Science Campus provost, executive vice president for health affairs and dean of the College of Medicine, and others learn as much as they can about what is going well and what needs to change. Gold opened the meeting highlighting how much has gone well in the past six years under the leadership of Chastang and emphasized that the new partnership between UT and ProMedica Health System signed May 17 was an educational and research partnership, not a clinical one. Scarborough encouraged OLT to adopt this attitude when their first instinct might be to answer, “No.” “There’s always a way,” Scarborough said. Dr. Bina Joe, UT associate professor of physiology and pharmacology, thanks her mentors for fostering an interest in science and exploration leading to a successful research career that recently was recognized with a national honor. Dr. Bina Joe received the Young Scholar Award from the American Society of Hypertension from the organization’s president, Dr. Henry R. Black. Dr. Nader Abraham, UT professor and chair of the Department of Physiology and Pharmacology, was in New York for the presentation at the society’s annual meeting. Joe received the Young Scholar Award from the American Society of Hypertension Inc., the country’s largest organization dedicated to hypertension and related cardiovascular disease, for her work identifying specific genes that contribute to the disorder. 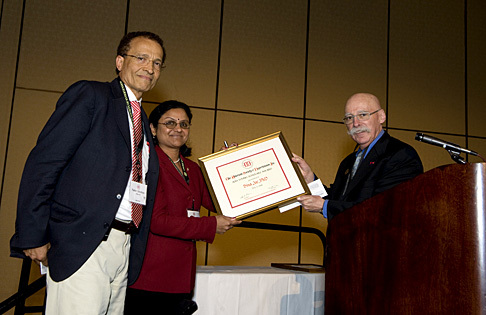 She received the award earlier this month at the society’s annual scientific meeting and exposition in New York. “We know hypertension runs in families and something is being inherited, but what that something is we don’t know,” Joe said. There are both genetic and environmental factors, such as salt, exercise and weight, which lead to hypertension issues. Joe’s laboratory works with segregated rats that have hypertension and those that are resistant to it. By controlling the environmental factors, the researchers can pinpoint genes that contribute to the disorder. Joe’s predecessor and mentor at UT, Dr. John Rapp, identified a gene and her team has found another. There could be several more that contribute to hypertension. After mapping the genes, the focus will switch to changing the variations in them that lead to problems. The Young Scholar Award recognizes the achievements of outstanding young investigators in the field of hypertension. Candidates for the award must have received an advanced professional degree within the last 15 years and be active in research. Autism is an overwhelming diagnosis for parents and families who receive it, noted Sherry Moyer, executive and research director of UT’s new Center for Excellence in Autism. 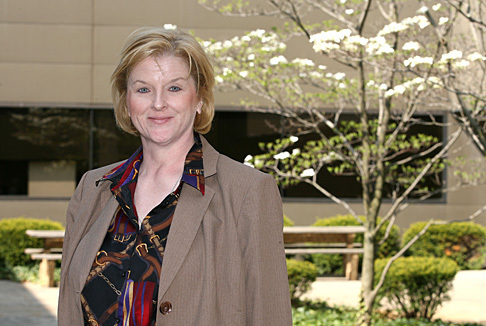 Preparation was central in laying the groundwork for the center, noted Dr. Joan Griffith, chief and interim chair of the Division of General Pediatrics. Working solo initially, then adding input from local autism service organizations, a consortium representing an internal advisory working group produced a mission statement and objectives. “It is still a fluid document,” Griffith noted. Griffith pointed to funding from the U.S. Department of Health and Human Services, and recognition from state service organization OCALI, the Ohio Center for Autism and Low Incidence. “The support has helped spur a sense of momentum within the University that will be critical to creating a quality, affordable service to the community,” she said. The University of Toledo is one of two institutions in the country selected by the U.S. Department of Energy for funding to advance wind power education and research. The University was awarded a $750,000 grant to study the design and development of two-blade wind turbines to generate wind energy from the Great Lakes. The University will conduct a study on designing and installing these two-blade wind turbine generators in shallow water, such as lakes, with a less expensive mounting system, Afjeh explained. Rather than driving a column to install the wind turbine tower in the seabed, UT researchers suggest an innovative system that mounts it on a floatable gravity foundation. This system would entail simply towing the partial or complete system to the site and sinking the turbine-tower assembly in place and securing it to the sea floor with cables, Afjeh said. The researchers will conduct their design studies for a 1-megawatt wind turbine, but will consider how it could be scaled up to larger wind turbine models and how it could work for a wind farm. “Our goal is to optimize this design that would reveal a cost-effective and efficient wind turbine that could be more economically installed for offshore use,” Afjeh said. The U.S. Department of Energy invested nearly $3 million to advance the work of 16 institutions regarding wind power. UT and the University of Delaware received the largest awards with $750,000 each. There were 14 additional colleges and universities that received educational and training grants ranging from $65,000 to $200,000. 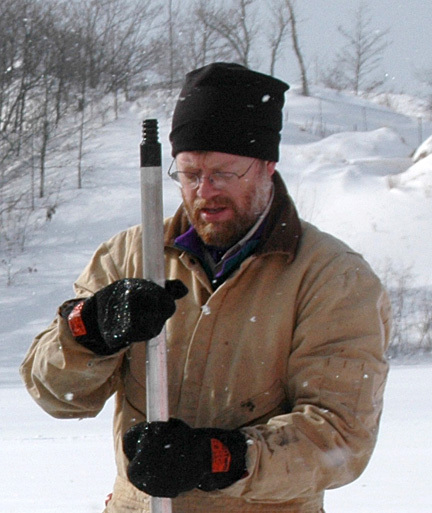 Dr. Timothy Fisher, shown here three years ago with a thrust rod of a corer, which he used to recover 1-meter segments of sediment cores from lake ice on Goshorn Lake, an inland lake next to Lake Michigan south of Holland, Mich., conducted similar research on small lakes around Lake Superior. UT Professor of Environmental Sciences Dr. Timothy Fisher is part of a team of scientists who discovered that a flood of fresh water from Lake Superior into the Atlantic Ocean contributed to a cold event 9,300 years ago. The discovery of what caused a widespread cold anomaly is detailed in the paper called “Freshwater Outburst From Lake Superior as a Trigger for the Cold Event 9,300 Years ago.” The paper is posted on the Science Express website, which previews articles that will be published in a future print edition of Science journal. The scientists propose that a drift dam in the southeastern corner of Lake Superior broke, causing fresh water to surge through the upper Great Lakes and into the ocean via the St. Lawrence Seaway at the end of the last ice age. That rush of fresh water caused the cold event by disrupting the Gulf Stream that pulls warm water north. The Gulf Stream current brings warm salty water to the North Atlantic, where after cooling, its increased density causes it to sink to the bottom and flow south. The process drives much of the world’s ocean circulation pattern. But when fresh water covers the top of the salt water, that warm water doesn’t get the chance to cool and the process is essentially stalled. Without warm water coming from the north, the area cooled and stayed that way for a couple hundred years. While the cold event 9,300 years ago has been recognized, a mechanism that triggered it had not been put forward. 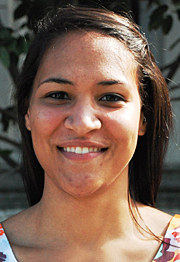 Fisher is a lead writer and one of eight researchers involved in the paper published in Science; Shi-Yong Yu, a postdoctoral fellow at Tulane University, led the group. “As geologists, we study past events in Earth’s history in association with modern processes to develop a historical context, equipping us to make better decisions for the future,” Fisher said. Fisher contributed to the research by collecting sediment core samples from small lakes around Lake Superior that showed they were once actually a part of a larger lake in the Lake Superior basin, before the dam broke and the lake fell 43 meters in about a year. The flood also explains the previously unknown cause of the oxygen isotope changes in Lake Huron and Lake Michigan at that time, when water from Lake Superior rushed into the other lakes, Fisher said. The Start! Heart Walk and 10K Run will take place Saturday, May 22, beginning and ending at the Glass Bowl on The University of Toledo’s Main Campus. Free medication review vouchers, valued at $100 each, will be available at the Heart Walk and at participating local pharmacies, which have committed more than 1,000 total hours, a value of more than $100,000, for the reviews. Start! Toledo Heart Walk and the American Heart Association, in conjunction with The University of Toledo College of Pharmacy, are helping to improve the human condition by organizing medication reviews through Toledo-area pharmacies. Medication reviews allow pharmacists to identify problems that might result from being cared for by multiple physicians or using multiple pharmacies. Dr. Johnnie Early, dean of the College of Pharmacy, has enlisted the participation of local pharmacies, including community pharmacies Aring Compound Corner, Ryan Pharmacy and Erie Drugs; the UT Medical Center Pharmacy; and some area Costco, Rite Aid, Target and Walgreens pharmacies. This is the Start! Heart Walk and the American Heart Association’s second year offering this health initiative. The University of Toledo and ProMedica Health System agreed to a historic new partnership to advance health education and research for both organizations following a unanimous vote by UT’s Board of Trustees at its May 17 meeting. ProMedica’s board approved the agreement last week. UT President Lloyd Jacobs, left, shook hands with Randy Oostra, president and chief executive officer for ProMedica, after the two signed an agreement for the University and ProMedica Health System to become partners. As a result of this agreement, UT will manage and oversee academic endeavors across the ProMedica system under the guidance of a new joint Academic Health Center Board comprised of equal representation from ProMedica and the University. ProMedica President and CEO Randy Oostra echoed Gold’s comments. 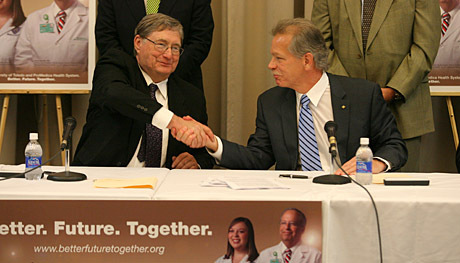 Included as part of this academic partnership is collaboration with respect to ProMedica research and residency programs (including the Family Practice Residency Program at Toledo Hospital and Flower Hospital Family Practice Residency Program, Jobst Vascular Surgery Residency, and the Toledo Hospital Primary Care Sports Medicine Residency), as well as fellowship, clerkship, nursing, pharmacy, allied health and continuing education. Additionally, the University will provide administrative assistance in helping facilitate more clinical research conducted at ProMedica. “This will significantly change our community for the better,” said Dr. Lee Hammerling, chief medical officer for ProMedica. UT and ProMedica also unveiled a messaging program that will help tell the story of the partnership to the community; this includes a website at www.betterfuturetogether.org.